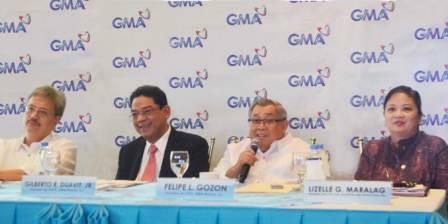 (Quezon City, Philippines - August 13, 2013) - Strong advertising revenues propelled broadcast leader GMA Network’s (GMA) revenues and profits to double digit growth in the first half of 2013. Boosted by sales during the election period, GMA’s airtime revenues grew by 15 percent and drove the increase in the top line. Operating expenses posted a 13 percent increase to P5.086 billion mainly on higher production costs compounded by non-recurring expenses from mounting the Network’s most comprehensive election coverage to date. General and administrative expenses (GAEX) also contributed to the increase due to the rise in personnel expenditure. GMA ended the six-month period with an EBITDA (earnings before interests, taxes, depreciation and amortization) of P2.291 billion, reflecting a 19 percent improvement over a year ago. This brings the company’s net income to P1.135 billion, up 12 percent from the P1.014 billion generated in the same period last year. 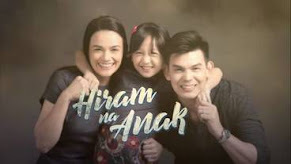 GMA’s flagship Channel 7 grew its advertising revenues by 14 percent, while revenues from the Network’s Regional TV (RTV) operations climbed by a remarkable 60 percent. GMA Dagupan and GMA Cebu continued to be the largest contributors for RTV with the remaining regional stations similarly posting significant improvements. Radio hiked up its earnings by 30 percent, while revenues of leading local news channel GMA News TV rose by 16 percent. 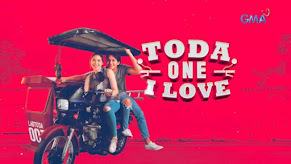 Meanwhile, GMA International, the business unit that manages the distribution and operations of the Network’s overseas channels, inched up its revenues from licensing and advertising by less than one percent in peso terms. Nonetheless, this segment recorded a 4 percent growth in dollar terms compared to last year. 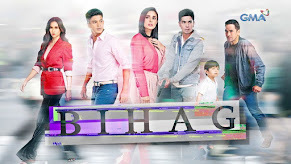 In April, GMA International fortified its presence in the MENA (Middle East and North Africa) Region following its shift to a new carrier, My-HD, a pay-TV platform based in Dubai, and through various cable distribution outlets in the region. 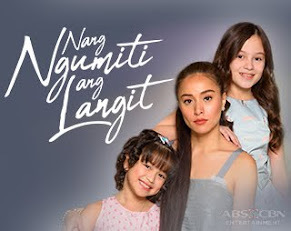 Flagship international channel - GMA Pinoy TV, first international Filipino lifestyle channel - GMA Life TV, and international news channel - GMA News TV International are now widely available in this region, and have recently been made available in Palau and Malaysia. 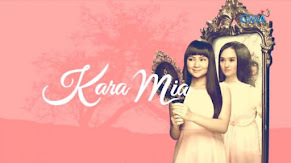 GMA Life TV, which marked its 5th anniversary in May, and GMA News TV International were likewise launched in Singapore and in several carriers in Canada. 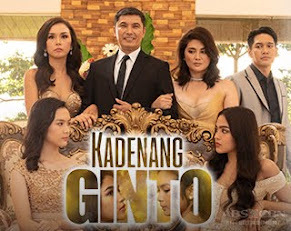 GMA Worldwide, the content acquisition and distribution subsidiary of GMA, sold over 1,438 hours of programs and movies to Vietnam, Cambodia, Brunei, Malaysia, Singapore, Hong Kong, Macau, Indonesia, East Timor, Laos, Mongolia, Myanmar, Thailand, Africa and its adjacent islands, among others, during the first half of the year. Sales of Julie Anne San Jose’s self-titled album by GMA Records remained on the uptrend earning a 5X Platinum Record Award from its combined physical and digital sales reaching over 83,000 units for the period August 15, 2012 to June 17, 2013. It continued to do well as an additional 31,000 units were sold February 27, 2013 to June 17, 2013. On the other hand, San Jose’s carrier single “I’ll Be There” received a 4X Platinum Digital Single Award as it registered over 626,000 downloads covering the period August 15, 2012 to June 17, 2013. The young Kapuso singer-actress was the very first recipient of this award according to the Philippine Association of the Record Industry. 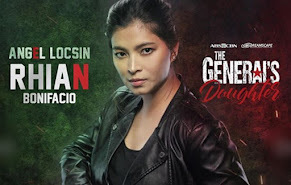 During the second quarter, GMA continued to lead in the viewer rich areas of Urban Luzon and Mega, according to the industry’s leading ratings service provider Nielsen TV Audience Measurement. 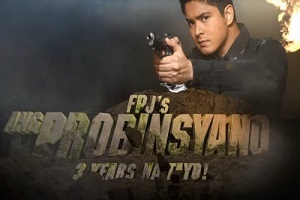 In Urban Luzon, which accounts for 76 percent of the total urban TV household population in the country, GMA scored a total day audience share of 34.6 percent – up 3.3 points from ABS-CBN’s 31.3 percent and 21.3 points from TV5’s 13.3 percent. 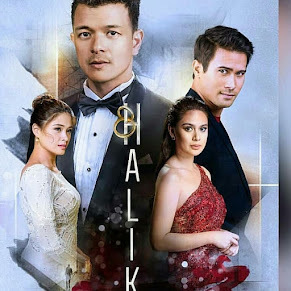 GMA also kept its lead in its bailiwick Mega Manila, which represents 59 percent of the total urban TV households nationwide, with a 35.9 percent total day audience share higher than ABS-CBN’s 29.5 percent by 6.4 points and TV5’s 14.3 percent by 21.6 points. It is also worthy to note that the ratings of GMA News and Public Affairs’ ELEKSYON 2013, the Network’s biggest and widest election coverage by far, bested that of other stations across NUTAM (National Urban Television Audience Measurement), Urban Luzon and Mega Manila. 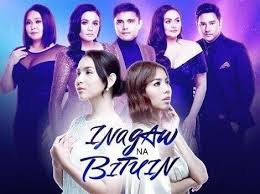 Regaining its momentum in July, GMA was tied in the number one spot with ABS-CBN in nationwide ratings with both networks posting a 34.4 percent total day audience share based on official data. The Network likewise sustained its leadership in Urban Luzon and Mega Manila, outrating rival networks by significant margins. 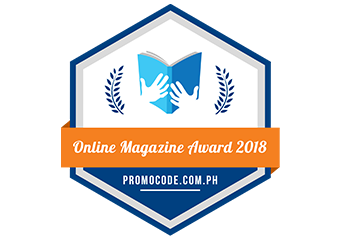 Meanwhile, GMA News Online emerged as the most viewed website during the election season, breaking its own record as it registered 21 million page views last May 14, 2013. The figure generated by GMA News Online was 16 million views higher than ABSCBNNews.com. 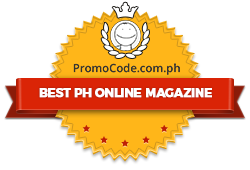 As the Network continues to reinforce its online presence, the new and improved GMANetwork.com [www.gmanetwork.com], has been launched with enhanced features to make the user experience even better. Visitors can now enjoy a continuous stream of news and entertainment content via the infinite scrolling feature while the site's responsive design auto-adjusts its layout to the user’s preferred device be it a desktop, laptop, tablet or smart phone. Sharing of content on social networking sites is now faster and more convenient through the "drag-to-share" functionality on the desktop version and through a quick tap of an icon on the mobile version.